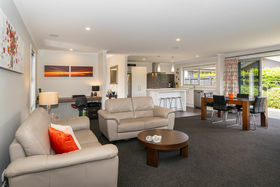 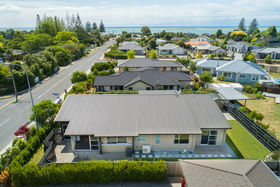 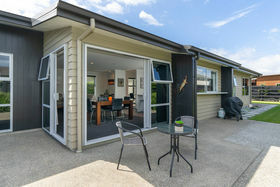 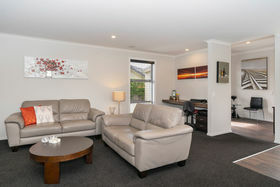 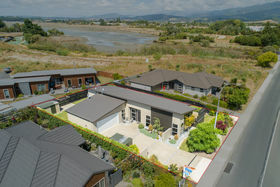 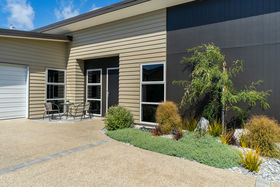 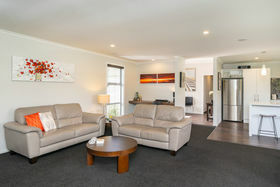 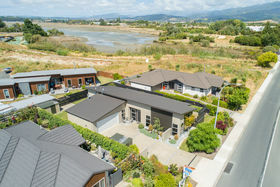 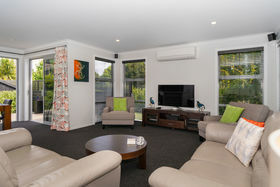 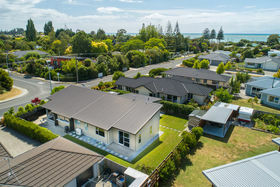 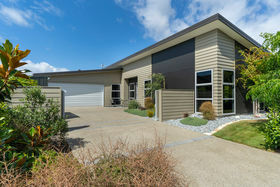 For more details visit www.leeonjohnston.co.nz Who hasn't fantasised about residing near the seaside, coupled with the romantic dreamy notion of a near-new home? 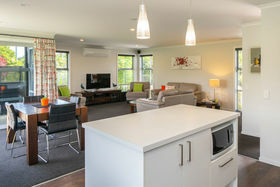 This Jennian home, built in 2015, provides comfort, warmth and easy care living enabling you to simply relax after a stressful day. 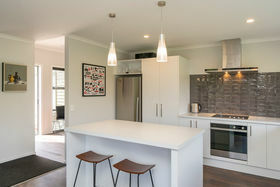 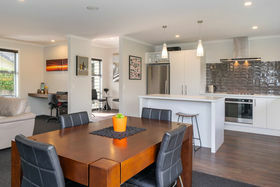 Thoughtfully configured living and dining space complement the fabulous kitchen, while the crisp, neutral decor ensures the new owners will have no trouble expressing their own sense of style and personality. 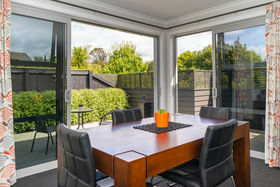 The dining area with two sets of ranch sliders provides exterior access to the patio; a relaxing space to unwind at the end of a long day. 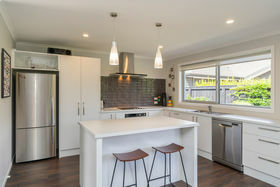 Everything has been included in the kitchen - with ceramic cooktop, under bench oven, range hood, dishwasher, pantry, fridge freezer cavity and plenty of storage. 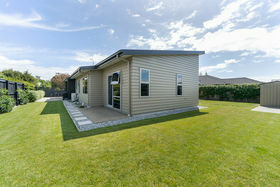 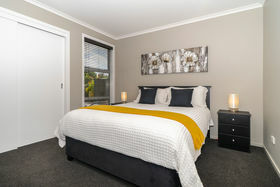 There are three double bedrooms on offer, the sizeable master is a welcome retreat for the heads of the household and encompasses an ensuite and walk-in wardrobe. 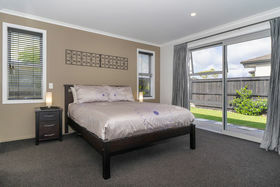 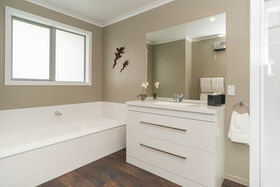 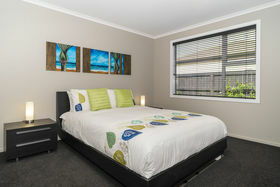 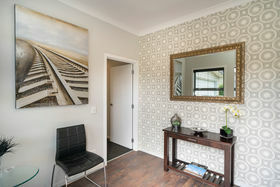 The remaining bedrooms feature built-in wardrobes and are serviced by a well-appointed family bathroom. 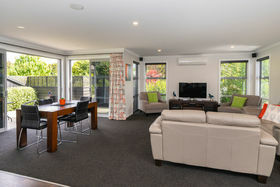 There is no better spot to embrace the favoured northerly aspect than from the sun-dappled patio which is easily accessed from the living areas. 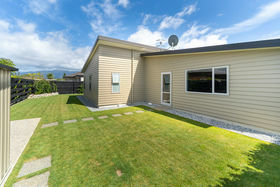 It is, without a doubt, the central focus of outdoor living and is surrounded by incredibly low-maintenance, fenced grounds. 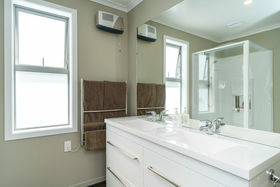 The double garage features an automatic door, internal access and a laundry area with stainless-steel tub and space for the whiteware. 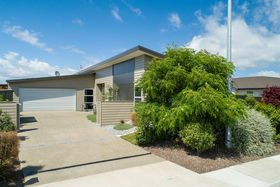 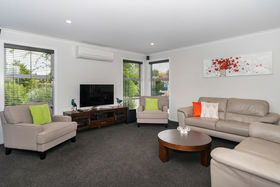 This attractive home offers pleasurable family living and is likely to attract considerable interest. 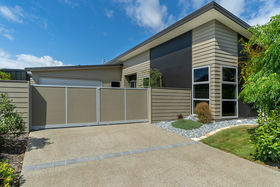 Stop dreaming and start living your vision of a revered lifestyle today!